The goalkeeper has signed a pre-contract agreement with the English Championship side. 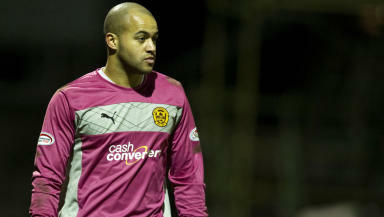 Motherwell goalkeeper Darren Randolph has agreed a move to English Championship side Birmingham City. The 26-year-old has agreed a two-year deal at St Andrew's and will move south at the end of the Scottish Premier League season. Randolph will move under freedom of contract as his Motherwell deal expires next month and he will look to replace Jack Butland as Birmingham's number one. After arriving at Fir Park in 2010, Randolph quickly established himself as first choice and impressive performances pushed him into the Republic of Ireland squad. 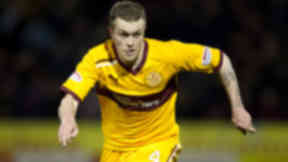 The player said he would leave Motherwell with fond memories of the support and his players. “Following three fantastic years at Motherwell, I wanted to put on record my sincerest thanks to the staff and fans at Fir Park for their great support during my stay at the club," he told Motherwell's official website. “When I joined the club in 2010 from Charlton Athletic, I was told on day one that I had big gloves to fill with the departure of John Ruddy, and looking back over the past three seasons, I hope the fans feel I achieved that."